The Australian government is currently running the ruler over the regulatory framework that dictates the safe use of drones across the country with a final Senate committee report due in December. Preliminary recommendations released in May have highlighted the committee’s concerns that safety regulations regarding drone use have not kept pace with a rapidly growing industry and that immediate action is required. Governments across the globe are grappling with the same issue – how to weigh up safety versus flexibility and how to minimise the risks to industry growth and opportunity when setting regulations for the nascent drone industry. Not getting the regulatory settings right presents significant risk to the upside of the drone industry. According to a recent study by PricewaterhouseCoopers on the commercial applications of drone technology, the emerging global market for business services using drones is valued at more than $127 billion. In America alone, the economic benefit of integrating unmanned aircraft systems could deliver more than 70,000 jobs in the first three years of integration with an economic impact of more than $US13.6 billion, based on AUVSI’s The Economic Impact of Unmanned Aircraft Systems Integration in the United States report. By 2025 the report forecasts the creation of more than 100,000 jobs and an economic impact of $82 billion. How can Australian regulators ensure that our nation benefits from the enormous potential of the drone revolution? Institute of Public Affairs research fellow Darcy Allen said the regulatory environment for any new technology is critical to its future uptake because it determines what entrepreneurs can do and where investors decide to invest. 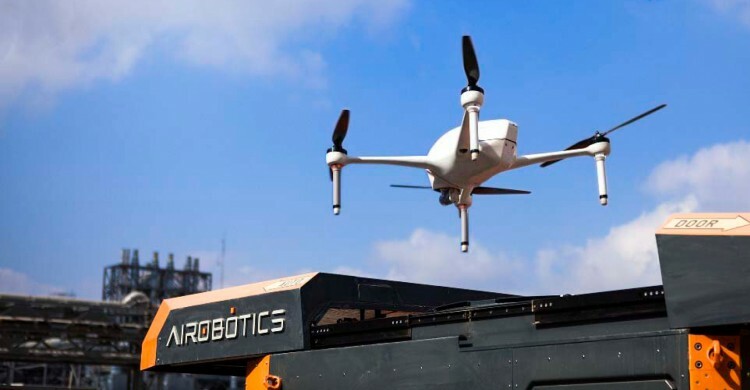 Australia is currently an attractive investment destination for international drone companies such as Airobotics, an Israeli start-up company based in WA focused on revolutionising commercial drones. The company has secured certification from the Australian air space regulator Civil Aviation Safety Authority (CASA) for the operation of a unmanned aircraft for its fully automated industrial drone solution. But this is only the first step for the Company’s Australian operations. Airobotics was the first drone company world-wide to achieve a license from CAAI in Israel to operate fully automated drones in BVLOS with no requirement to have a qualified RPAS (Remotely Piloted Aircraft System) pilot in the loop, as well as an FAA waiver authorisation under Part 107 in the US. Airobotics is working with CASA towards achieving a similar accreditation to Israel’s CAAI in other countries around the world. This level of certification will enable the Australian mining and oil and gas industries greater access to the innovations that the Airobotics solution provides, using drones for aerial surveying, mapping and security of sensitive environments, providing on demand real-time feedback. There are huge opportunities for a wide range of sectors to benefit from the use of drones, but this will depend entirely on the regulatory framework. In some countries, the rules for operating have been relaxed. For example, in the US, the release of the Part 107 rule by Federal Aviation Administration (FAA) for drones below 25kg means commercial drones can fly up to a maximum of 121.9m high at speeds of less than 160km per hour during the day, with special waivers to operate at night time. The UK has similar restrictions on drones, but the European Union has taken a different approach, with regulations based on the weight. The European Aviation Safety Agency (EASA) is proposing rules on the use of small drones that would include a requirement for operators of all but the smallest devices to register with authorities. In New Zealand, the government has actively promoted its flexible regulatory framework for Remotely Piloted Aircraft Systems (RPAS) to attract new investment and innovation. The country is now leading the way in implementing many drone innovations across agriculture, forestry, film and television and search and rescue sectors. Back in Australia, the senate committee has indicated it will explore more stringent measures during the rest of the inquiry, including mandatory flight logging and the display of registration marks. Australia’s CASA has a long history as a global leader in aviation safety regulation in relation to the operation of remotely piloted aircraft systems and this review ensures the rapid pace of innovation in the drone industry is considered.